In a study by the American Psychological Association, American teens reported only sleeping 7.4 hours on a school night and 8.1 hours on a non-school night, much less than the recommended 8.5-9.25 hours. More than a third of respondents said that they lie awake at night and can't sleep due to stress. The Partnership for a Drug Free America survey found that 73% of respondents said that school stress was the primary reason for their drug and alcohol use. 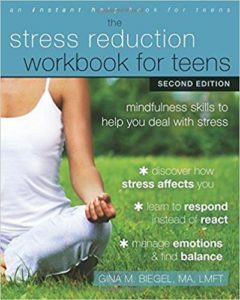 Our children and teens are more stressed than ever and it's effecting both their mental and physical health. The pressures of school; family and community expectations; over-scheduling and trying to balance school with a job, sports, after school activities, and family obligations; dating/friend relationship or conflicts with family or peers; looks and physical appearance; and lack of sleep, all lead to children and teens struggling to handle the stress of everyday life. Sleep - be sure you are getting enough! Enjoy some quiet time with a pet - did you know that petting an animal reduces stress? BE KIND TO YOURSELF - realize that you don't have to be perfect; that while academics are important, remind yourself that your worth is not based on your grades, how you do on a test, or how well you perform in other areas of your life; you are wonderful and valuable and important because you are YOU! LISTEN carefully and CONNECT with your kids. MONITOR for unhealthy levels of stress - lack of sleep, loss of appetite, moodiness, unusual behavior. WATCH for signs of overload. LEARN techniques for reducing stress (above) and PRACTICE them TOGETHER. MODEL a healthy life balance. 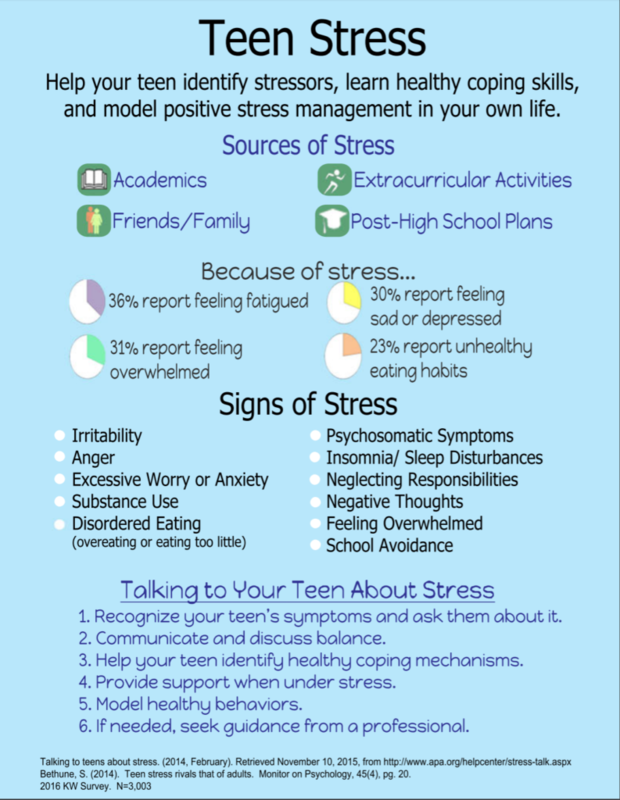 For more information about teen stress and suggestions for how parents can help, visit the American Psychological Association webpage Talking to Teens About Stress. 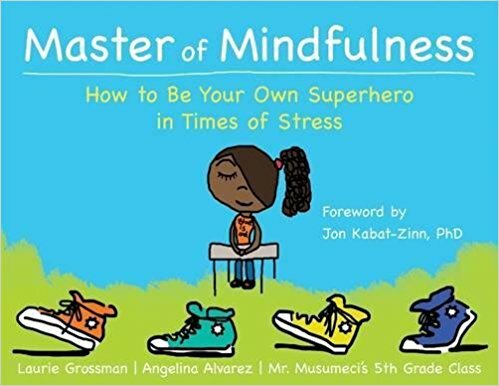 "Stress Relief for Kids: How to Make Stress Relief Part of Your Kids' Lives"
"Bad at remembering to take care of yourself? These 25 tips can make it almost automatic." Themed sessions on everything from stress to sleep, bite-sized meditations for busy schedule, and SOS exercises in case of sudden meltdowns. Free App from the Apple Store or Google Play. Free content plus additional content by subscription. Guided meditation, breathing exercises, mindfulness exercises and help to sleep. Free App from the Apple Store or Google Play. Free content plus additional content by subscription. The Coping Skills for Kids Workbook is designed to help kids learn and practice coping skills to deal with anxiety, stress and anger. 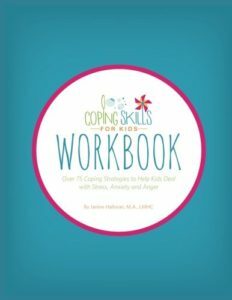 The workbook includes: over 75 coping skills for kids to try with more than 20 printables/porksheets to help. 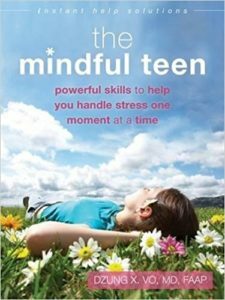 Links to "Coping Skills for Kids" YouTube videos and a resource collection of other helpful books and websites for families is also included. Kids can read this book on their own or they can work through it with a family member or another trusted adult. 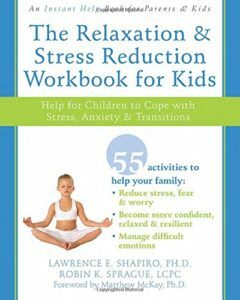 The Relaxation & Stress Reduction Workbook for Kids, written by two child therapists, offers more than fifty activities you can do together as a family to help you and your child replace stressful and anxious feelings with feelings of optimism, confidence, and joy.